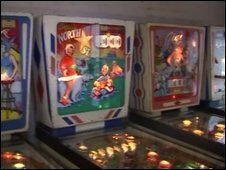 Two pinball enthusiasts have opened a museum in a Kent seaside town where visitors can try out machines from pinball's golden age. 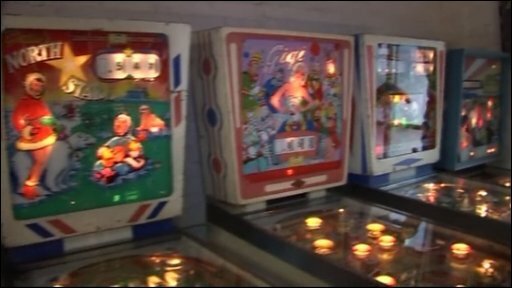 Co-owners Peter Heath and Geoff Harvey said the Pinball Parlour in Ramsgate featured more than 30 machines all of which were "totally playable". The pair, who worked together for many years restoring pinball machines, said there were some very rare examples. Mr Heath said he thought the museum was the first of its kind in the country. He hoped the new museum would be the start of "something special", he added. "As far as we can work out, this is the first museum of its kind in the country, although all the machines here are totally playable, not being kept in glass cases." The museum features a range of machines dating from pinball's heyday right through the 50s, 60s and 70s to today's more sophisticated machines. The site, which used to be an antiques shop, was a base for Mr Harvey and Mr Heath's pinball repair and restoration business for many years. But when the shop closed, they decided to buy the premises and transform the store into the Pinball Parlour. Mr Heath and Mr Harvey said they planned to hire out the museum for birthday parties and special events.